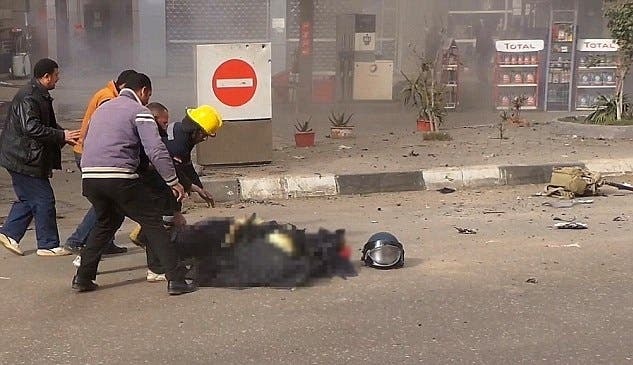 A group of bystanders in Egypt this week filmed a police officer attempting to defuse a bomb before it blew up in his hands, killing him. 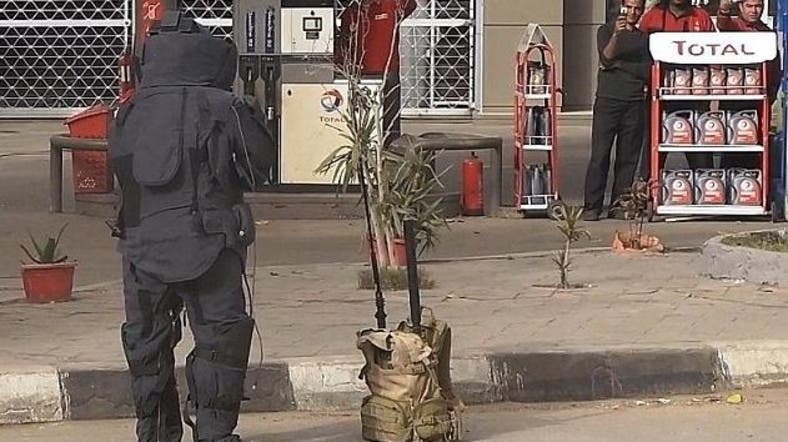 The bomb was concealed in a potted plant placed outside a petrol station in Cairo, in an attack claimed by the extremist group Ajnad Misr on Twitter. A mobile phone video captures the incident, including the blast and the aftermath. The footage shows the officer dressed in protective gear being blasted up into the air after attempting to deactivate the device. The amateur cameraman keeps recording even as bystanders rush to the body of the police officer, who was killed as three petrol station employees were wounded.